There's no reason you can't have your drink and be stylish too. 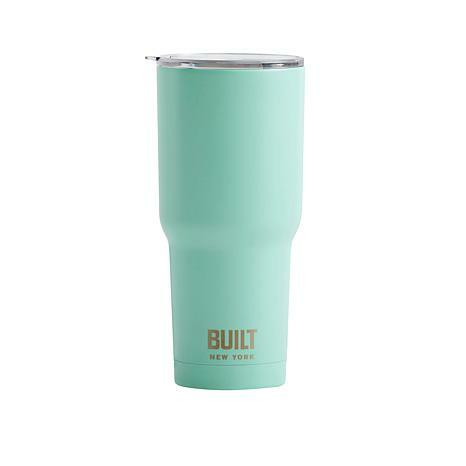 This cool mint-colored water bottle is designed to make staying hydrated and maintaining a healthy lifestyle wherever you go even more appealing. 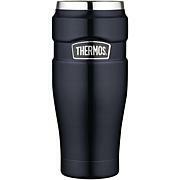 The double-walled, vacuum-insulated body is made of stainless steel, which insulates cold drinks all day and hot drinks like coffee for up to 8 hours. 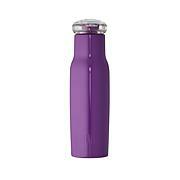 You'll also appreciate that you can open or close the sliding lid with one-hand, making drinking on-the-go a breeze. 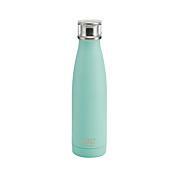 This 26oz stainless steel water bottle is decorated with a high definition team team graphics and includes a screw-top lid, pop-up spout, and karabiner clip. It is 11 in tall, 2.5 in wide and is Made in China. 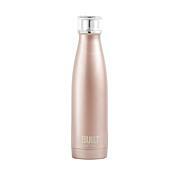 Eco-Friendly and BPA free. Hand washing is recommended.